The Four Tops were so named back in 1954 because they were “aiming for the top”. If you’d told Levi, Duke, Obie and Lawrence that it would be an eleven-year journey to finally get there, I wonder how they’d have reacted? Would they have been discouraged, fazed by the prospect of a decade of thankless toil, slogging their way around dingy venues the length and breadth of the country? Or would they have been glad to know that no matter how long it would take, they were indeed headed to the top after all? This, the group’s first Number One single – it replaced the Supremes’ Back In My Arms Again at the peak of the Hot 100, a Motown single unseating a Motown single as the nation’s biggest-selling record, in a turn of events nobody had seriously predicted even three years earlier – is the simplest, the most straightforward and the least musically ambitious of their Motown efforts to date. Maybe that’s why it hit so big; maybe the Tops’ earlier records were just too clever. Or maybe it gatecrashed the Number One slot because it’s not just simple, it’s effortless, a streamlining of the Four Tops’ unique, signature sound – the heavenly blend of three guys and three ladies, with Levi Stubbs sing-shouting over the top, half gruff, half angelic – to make it work for a wider audience. And it does work, most certainly it does. For me, when I first started getting into Motown, not having had prior knowledge of what was an enormous hit and what was a crashing flop, well, when going through the Tops’ magnificent run of mid-Sixties singles for the first time, I Can’t Help Myself (the “Sugar Pie, Honey Bunch” subtitle seems to have been added at some later stage) didn’t jump out at me, didn’t scream success. And yet, when I discovered it was their first chart-topper, and by far their biggest hit to date, I wasn’t surprised. In fact, the more I listen to it, the more I think the bigger shock might have been had this not gone all the way. Mock me if you like, but until it was pointed out to me, I didn’t even notice that this entire song is based around the exact same chords and charts as the Supremes’ Where Did Our Love Go. (Now, of course, it’s all I can bloody hear). Levi’s passionate delivery marks a big difference from the Supremes’ approach, of course, and it is fundamentally a different song. The excellent looping four-note riff which opens and underpins the record (a riff heard a million times on a million other records, but which Lamont Dozier, James Jamerson and (ahem) Carol Kaye all claim was born right here by them) does a fine job of disguising the fact that the song’s musical skeleton is a hand-me-down affair, but that doesn’t mean you can’t sing Where Did Our Love Go right over the top of it, not to mention noticing that just like the Supremes record, it’s very difficult on first listen to grab hold of what’s verse and what’s chorus. Critics have had a field day mocking both Holland-Dozier-Holland and Motown for this blatant re-use of old material (not so blatant that I noticed it, of course, but anyway), and Sugar Pie, Honey Bunch almost makes their point for them; Phil Spector’s snide remark about Motown releasing the same record every week with a few notes changed was never closer to being justified than it is here. But despite the jibes, this is not the same song. In some ways, the comparison is a millstone – this doesn’t have the magic, the alien beauty and pain and poise of Where Did Our Love Go, and it feels a little unambitious as a result, especially when compared with some of the soaring leaps of musical faith seen on older Four Tops singles. In other ways, though, the comparison serves more to illustrate the good differences between the two groups: on their best days, the Tops have access to a widescreen operatic splendour that the Supremes hadn’t yet been able to master, and on this, the best-sounding Four Tops record yet, they present America with the blueprint for their own sound, a contrast paradoxically heightened by the looming shadow of the Supremes’ own breakthrough hit. A lot of big words for a small record, and a fine illustration of why sometimes it’s best to let the music do the talking; I don’t often feel superfluous, surplus to requirements, and yet more than any record so far, Sugar Pie, Honey Bunch feels like it stands on its own, like it doesn’t need me to explain why I think it’s good. The Supremes thing becomes even more interesting when you consider that this, the first fruits of what would become the Four Tops’ second album, the excellently-titled Four Tops Second Album, represented big Tops fans Holland-Dozier-Holland’s first job with the group they loved in quite some time (they’d been absent from the Tops’ previous 45, the lovely Ask The Lonely, lifted from the first album, Four Tops). With that in mind, the none-more-HDH tune and arrangement, the 4/4 beat and classical overtones, can be seen as the trio’s attempt to both jealously mark their territory and also retrace their steps, following their own recipe which had landed the Supremes their first Number One to see if it worked again. And it did. There’s no way this could have failed, as I should have realised. It’s just fun to listen to; if it doesn’t surprise you, if it doesn’t do anything you weren’t expecting, well, equally, it does everything you expect, and it does it beautifully. As with Where Did Our Love Go (here I go again), it trusts the listener to grab the concept within a few bars and then spends the entire remaining duration just playing around with it, safe in the knowledge we won’t let go. Is it my favourite Four Tops record? No, of course not. It’s not even close. But I’ve never not really liked it; this wasn’t some sort of Dancing In The Street thing where a record gradually won me over. Rather, I’ve been fond of it since I first heard it. As a ticket to the very top table, it does its job quite splendidly. I don’t know if a record can ever be “magnificently adequate”, which sounds like a veiled criticism even though that’s both exactly how I feel, and not at all what I mean. So instead, I’ll put it more positively: everything about this is just right. I’ve been working on my top 50 Motown singles, just to see if I can do it (currently I have 52), but this one’s never been bumped off. I’ve thought about how to describe it, and I think it would take just a couple of sentences. At every turn there’s something new to catch the ear. Every new thing is delightful. Can’t wait to see the results! I warn you in advance – whatever two you bump off will haunt your dreams and have you kicking yourself! – but do it anyway, if only for the remorseful pleasure of musing on all the ‘should-have-been-includeds’! What counts is the passionate affirmation of the Fifty! If anyone was wondering: 12/50. “One Tear” by Eddie Kendricks and “Ain’t That Peculiar.” You’ve no doubt said, but is your list going forward a work in progress or set in stone? BTW, thanks! I’m all wrung-out! Are you referring to “Do I Love You (Indeed I Do)”? If so, prepare for a second war! If you’re going to declare war, then it might be time for you to post your top 50. What are those Tempts songs that outrank “All I Need”? Really happy to see that you included My World Is Empty Without You and Love Is Like an Itching in my Heart from the Supremes. I’ve always felt that they were both in the top 3 greatest Supremes songs (along with Stop!) and its a shame they did not hit number 1 as were far superior to some of the songs that made it to number 1. Also delighted to see The Hunter Gets Captured by the Game from the Marvelettes, that is my favourite Marvelettes song. I always surprises me a little whenever Stop! In the Name of Love is left out of any kind of list but of course we all have different opinions but i really love that song. The Supremes had so many superior songs that it’s difficult to choose. Stop! is a great song, but personal taste can be a quirky thing! Can I hit the disagree button a hundred times? A Motown classic, definately a ten for me. No you can’t. But you can tell everyone what I should have said : the floor is yours! i am very glad you’re saving your four tops’ “tens”. they are just revving up. this is bubble gum … the rich layered chocolate is coming up! That’s it in a nutshell. Exquisite bubblegum, though. Very few songs instinctively make me dive for the volume control and crank it to 11…but this is one of them (“Ain’t Too Proud To Beg” & “The Tears Of A Clown” are others). Would have given it a 9, but with the Four Tops…the best really is yet to come. This song is my TOPS “10”–I personally favor the Tempts over the Tops, but 1966 was their year !! If it’s difficult to hear this one with objective, new ears for someone born in the 70s, it’s all but impossible for someone born in the 50s. It’s a masculine, muscular Motown hit, but like “Baby Love” and “Dancing In The Street” it also has had to survive the wounding that comes with oversaturation. Maybe no surprise then, that of the three hit Tops singles eventually folded into Second Album, my favorite is “Something About You.” It had its moment in the sun and on the charts (nudging into the Top 20), then assumed its dignified spot in music history without being asked to shill for Duncan Hines brownie mix. But here and now, trying to forget all that, this was and is a great Motown record, one of the sturdiest. 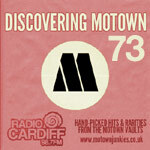 Like all the other best of that year, once you hear that ‘climbing’ intro on the radio, any and all Motown babyboomers are transported back to that time of untroubled ease. Everybody loved it, and the Tops were now on one’s ‘indispensible list’ with all the other Motown greats. Oh yeah Dave L… I love “Something About You”. Great tune! Spot on, Dave L! I was all of 5 1/2 when this song hit the airwaves, and my recognition was getting stronger by the day. I was singing the opening lines of this song one day, and my Mother said “Do you like that song?”. I nodded yes, thinking it wasn’t my favorite song but I must like it if I was singing it and it wasn’t playing right then. I was more bashful about being caught singing lol. Even though I was young, hearing a hit song on the radio in a ’60s car and being in the moment was strong stuff. As for Phil Spector, there is a saying – “Haters are gonna hate” – but in hindsight it was really Benny Benjamin being on absolute fire!!! He was charting a course and making History with that every beat snare that no one else was doing…That to me was the uniqueness of Motown in 1965. An “8” is exactly where I would place this song. I just want to express my fervent agreement with your analysis. A terrific – but not immortal – song, one that needs no apology, but which can’t claim to breathe the same rarefied and intoxicating air as the glorious ‘Reach Out’ and ‘Bernadette’ – but one which it would be churlish and curmudgeonly not to like. I had never made the Supremes connection, but I must admit that I always found their next hit to be all too aptly titled. Bravo again, Nixon. And yes, they ARE operatic! What a voice, and what voices! Unfortunately, the bass riff spawned Los Bravos’s ghastly “Black Is Black”, which even Jimmy Ruffin’s version does not salvage. More acceptable variations can be heard in The Who’s “Substitute” and ? and The Mysterians “96 Tears”. Also very prominent in the Newbeats’ “Run, Baby Run (Back Into My Arms), a rousing facsimile of the Motown sound. Smokey Robinson even used the “I Can’t Help Myself” riff for one of the songs on his 1991 “Double Good Everything” album. This bass riff also appears briefly in “Brown Shoes Don’t Make It” by the Mothers of Invention. VER well put…always noticeable to my ears, under that Four SEASONS sound! Referring to the Newbeats song, “Run Baby Run”, that is. The whole back-catalog of the Newbeats is well worth investigating. It’s hard to be objective about this song because it was played so very much. I’d give it an 8. I don’t tend to like the HDH style nearly as much as the better Stevenson-Hunter tunes. I was hotly anticipating this review in the hope that you might debunk this dinosaur, surely it would seem heretical, to an extent that even your review of ‘Back In My Arms Again’ wasn’t, to say anything against it? However with much justification you’ve chipped away just enough of the edifice so that we can see that, whilst rightfully breaking the Four Tops in a way they deserved, is by no means their best record to date or to come. Even if it hadn’t have been a reheated version of the sublime “Where Did Our Love Go?” it would still have a ring of slightly going through the motions for me. After the scathing melodrama of “Ask the Lonely” this feels a little saccharine in the wrong way, the melody effortless but somehow still forced. Even if I had been born in the 50’s as opposed to the 90’s, some albeit slightly generous constructive imagining leads me to think that had I chanced upon “Ask the Lonely” first on a transistor radio a cold school morning in January 1965, it would have cutter deeper and sooner than Sugar Pie ever could. Bought this record when it came out and it got hundreds of spins. But it wasn’t until the early 70s, when during a chance hearing on the radio and I started unconsciously singing Where Did Our Love Go on top that I realized that connection. I thought H-D-H were cagey devils when I realized that. Call me slow on the uptake. But that connection aside, unfortunately this is one of those records that gets overplayed on oldies radio. (Any record in their streak from Baby I Need Your Loving to Walk Away Renee” would be a nice substitute.) As someone said above, they’re just warming up. Considering Reach Out is one of my benchmark Motown records and I like Baby I Need Your Loving and Ask The Lonely more, an 8 or 9 for this is justified. But I love this record. This is a fine record for what it is, but I have to admit it isn’t one of my absolute favorites by them. I tend to like the more offbeat 4 Tops songs. Never realized the similarity to “Where Did Our Love Go”. Another musical difference between the two songs is that, rhythmically, “CHM” has a straight eighth note feel (“one-and-two-and-three-and-four-and”) while “WDOLG” is a shuffle (“one-and-a-two-and-a-three-and-a-four-and-a”). Anyway, your review was thoughtful and well-written, as usual! Yes! Exactly as you say – I wish this site would let me “like” comments. As you point out, it’s same musical hook, but straight time instead of the HDH shuffle. The other enhancement of the sequel is the thematic bass riff. And the lyrics, whether you like them or not, are very hooky themselves. And the breakdown-buildup at 1:40 is pretty great as well. All that said, if we consider the thousands of songs (including most of the snarky Mr. Spector’s) that use the doowoop, blues, or La Bamba progression – or a handful of others, HDH’s I-V-ii hook bears repeating. After a zillion cases of I-ii-V, I could handle quite a few more I-V-iis. Of course, the melodic similarities here are too close for comfort. I think what kills this song for me is how overplayed it is…but also I just think the tops had better singles than this…STANDING IN THE SHADOWS OF LOVE,SAME OL SONG, BERNADETTE,REACH OUT….This song is child’s play compared to those…. I enjoyed reading the review and love the blog, but I did find one typo in the intro paragraph that’s worth correcting. As you likely realize, Obie and Renaldo are one and the same; the fourth member is Lawrence Payton. Sorry to point out the error, but this review and the others are great reads, and I’m guessing you’d want the details to be right. Thanks for the blog. One day not too long ago while I was listening to the Motown Number Ones cd, I realized just how fabulous Reach Out, a song I’d heard a gazillion times before but never really appreciated, is. Since then I’ve been a little obsessed with all things Four Tops and HDH and was really happy to find this site. Oops! I hadn’t even spotted that. The perils of getting distracted mid sentence! Thanks for the spot (and the kind words). overplayed? Sure…but listen to it in mono in 1965 and you’ll never tire of it!